UPDATE: This contest is now closed! Thanks for entering, winners will be announced on the SWU Podcast tonight and contact via email tomorrow! Grand Prize: Talking Yoda Flashlight, a Yoda Lightsaber, a Star Wars Stormtrooper Bop Game, and a Star Wars: The Clone Wars: The Lost Missions Blu-ray! 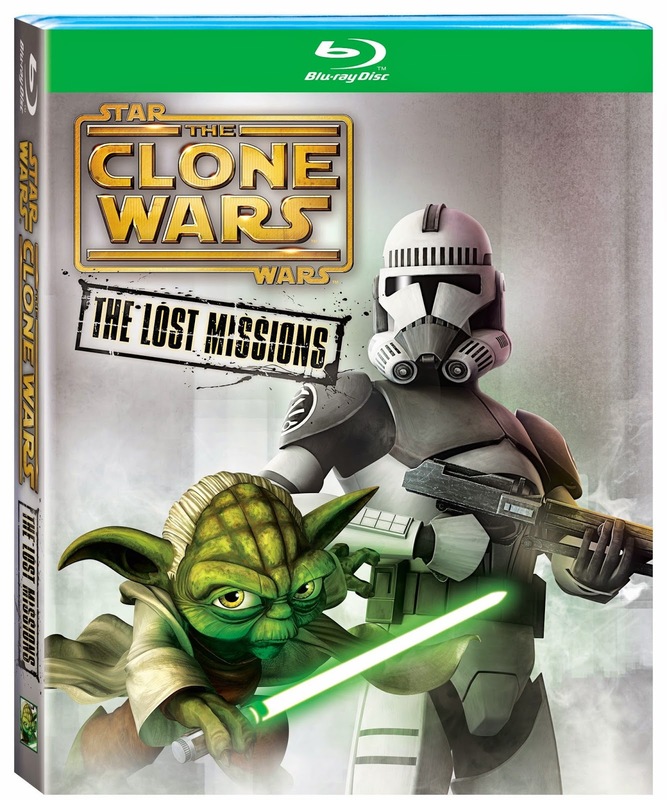 Runner Up: A Star Wars: The Clone Wars: The Lost Missions Blu-ray! Instructions: Send your answers to the following trivia question to swunderworld@gmail.com to be entered into the draw. The winner will be announced on the next episode of the SWU Podcast, recorded live on Thursday November 13th at 9pm EST and then contacted via email. DO NOT: Post the answer on our Facebook Page, you will be disqualified if you do! Question: What ancient Sith Lord did Mark Hamill play in Star Wars: The Clone Wars 'The Lost Missions'? But wait! That's not all. You can also win a Star Wars: The Clone Wars 'The Lost Missions' Blu-ray by tuning in LIVE to the SWU Podcast on Thursday at 9pm EST! We will be giving a copy away, exclusively for our live listeners. So if you want to increase your chances of winning, you better tune in! We'll be going live here, don't miss it! Read my review of 'The Lost Missions' Blu-ray here.